Juvederm is a filler whose injections are administered to patients to fill the folds in their skin and to reduce the wrinkles on their face. Juvederm is a popular choice among women wanting to erase signs of aging from their face. The injections find a lot of favor among women since they are both effective and long lasting. Today we take a look at Juvederm Injections and see how they can help you regain your youthfulness. 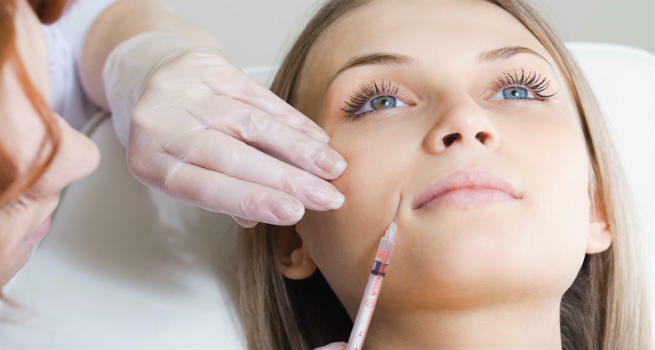 What is a Juvederm Injection? Juvederm is a filler that is mainly made of hyaluronic acid. Hyaluronic acid is a naturally occurring substance that can be found in your muscles and tendons. You can read more about hyaluronic acid here. It absorbs water from the body, swells up and fills up the folds in the skin as a result. While natural hyaluronic acid gets metabolized in the body within a day, Juvederm is made by cross linking technique that ensures that the substance remains in the body for a longer duration. Juvederm is mostly used to remove smile lines or nasolabial lines by filling them up. It also finds extensive use in lifting up the cheeks and the chin by filling in the wrinkles. Administering Juvederm causes your skin to plump up and become supple. Of late, Juvederm is also used to augment lips and plump them up. Juvederm is available in the form of an injection. The gel is injected into the mid or deep dermis using a syringe. It adds volume to the area where it is administered. It is compatible with the body and remains there for a good 6-8 months, after which it gets metabolized by the body. What is the after care involved? Juvederm does not need any extensive aftercare. Avoid make up for 12 hours after the treatment. Keep your skin protected from the sun for about two weeks. Am I the right candidate for Juvederm? Juvederm injections are mostly harmless and the treatment does not have any restrictions as to who can undergo it and who cannot. If you have wrinkles in your face and you wish to plump your skin up, then you are an ideal candidate to take Juvederm injections. One syringe of Juvederm can cost between $500 to $1200, depending on your location. In all probability, you would only need one syringe to get the desired outcome. If at all you would need the second one, most doctors extend a discount on the second syringe. You would need a follow up sitting after 6-8 months if you want to retain the effect of the filler. Juvederm helps you regain the youthfulness in your skin without having to resort to any surgical method. The dermal filler is a naturally occurring substance in the body as a result of which it blends homogeneously once injected and makes your skin smooth and irons out the folds in the skin. You may experience some tenderness and bruising in the injected area. Sometimes, the gel might spread to unwanted areas in the face, plumping up the wrong places. This can be corrected by visiting your doctor. If you are looking for a safe and quick fix solution to erase a few years off your face, then Juvederm injections are your best bet!